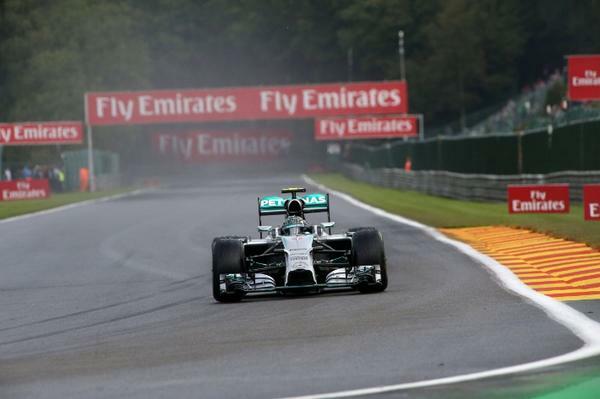 Formula One: Rosberg steals Spa pole in slippery session! 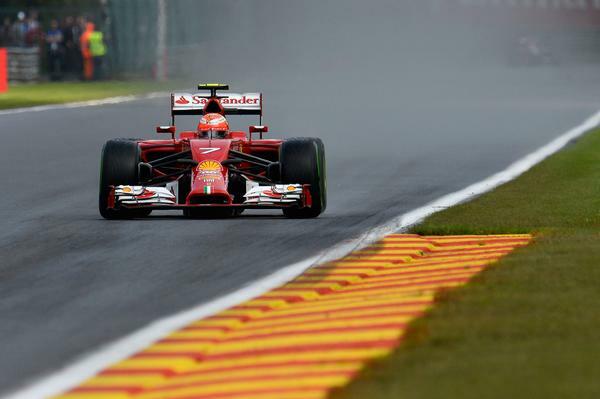 Home » Formula One: Rosberg steals Spa pole in slippery session! Nico Rosberg has claimed pole position for the 2014 Belgian Grand Prix after a tricky wet session at Spa Francorchamps. Lewis Hamilton had seemed in control in the first two sessions, but had to settle for second when it mattered in the final 12 minutes. The two Mercedes cars were in a class of their own once again, with the pair 2 seconds ahead of their nearest rival. Sebastian Vettel bounced back from a series of difficult practice sessions to take 3rd on the grid ahead of seemingly perpetual rival Fernando Alonso. Rain had been forecast for the majority of Saturday in Spa. The final practice session had seen Valtteri Bottas finish fastest on a drying track. With less than an hour to go until the first qualifying session a massive downpour struck the circuit. The rain would provide an opportunity for some unusual suspects to make it through into the second session. Those suspects, the Caterham and Marussia drivers, were queuing up at the end of the pits as the session got under-way. The majority of drivers chose to head out on the Intermediate tyres with the exception of the two Williams cars. Daniil Kvyat and Valtteri Bottas briefly held the top spot before an impressive lap by Lewis Hamilton, which included an off track escapade at the final chicane, put the Mercedes driver fastest for most of the session; despite a number of attempts from team-mate Nico Rosberg. The German soon managed to displace Hamilton in the dying moments to end the session fastest. Despite the track seemingly getting wetter as the session went on, the drivers were still able to make gains. Jules Bianchi had put in an excellent lap earlier on to put himself briefly in 10th. Max Chilton had put himself into the top 16, but was subsequently shoved out after improvements from Sutil and Raikkonen. In the end, no one managed to push Bianchi back into the knock-out zone, which meant that for the Frenchman made it through to Q2 for the second time at Spa. Nico Hulkenberg was surprisingly eliminated in the Force India along with Pastor Maldonado, Esteban Gutierrez, Max Chilton and the two Caterhams. Andre Lotterer put in an impressive lap in the dying moments of the session to out-qualify regular driver Marcus Ericsson by a whole second on his F1 debut. More rain fell for the start of the second session of qualifying which meant that the circuit was still treacherous. 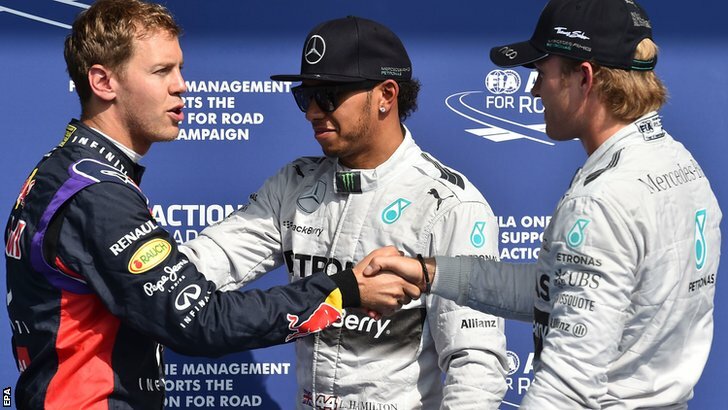 Lewis Hamilton and Nico Rosberg both had moments during the 15 minute session. Hamilton displayed his impressive car control after catching a slide at the top of Eau Rouge, with Rosberg heading into the run-off area at turn 8 on multiple occasions. Lewis Hamilton topped the session ahead of Nico Rosberg once again, with a 2 second gap back to their nearest rivals. There was a late spate of improvements from a number of drivers in the closing few seconds, with Sebastian Vettel and Jenson Button having to put in a late lap to avoid elimination, which they did. It was the two Toro Rosso’s that were eliminated along with Sergio Perez. Jules Bianchi may have made it to Q2, but he had to take 16th place; unable to make any further improvement. 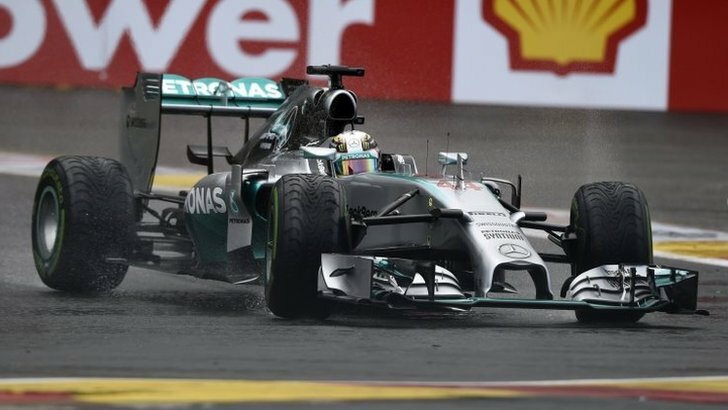 Lewis Hamilton had already outdone his last few Qualifying attempts by making it to Q3 in Spa. He has been the subject of awful luck in the last four events at the Red Bull Ring, Silverstone, Hockenheim and Hungary. Unfortunately this race wouldn’t go without a little bit of misfortune for the Briton as he found that he had a slight glaze on his right front brake. The problem meant that the Mercedes was pulling slightly to the right and was difficult in the braking zones. On his first lap, he went too deep into La Source; a problem recreated on his attempt at the end of the session. Hamilton still managed to drag his car around the circuit for a half decent lap, but it was Nico Rosberg who managed to take his 4th pole position in a row, 2 tenths of a second ahead of Hamilton. Sebastian Vettel managed to put his Red Bull in 3rd after being disadvantaged due to an lengthy engine change on Friday. Fernando Alonso put his Ferrari 4th ahead of Daniel Ricciardo, who had a very scary moment at Blanchimont on his last lap. Valtteri Bottas got 6th ahead of Kevin Magnussen and Kimi Raikkonen, with Felipe Massa and Jenson Button completing the top 10.